The recent monster lake effect event in New York created real friction for hundreds of thousands of people in western part of the state. 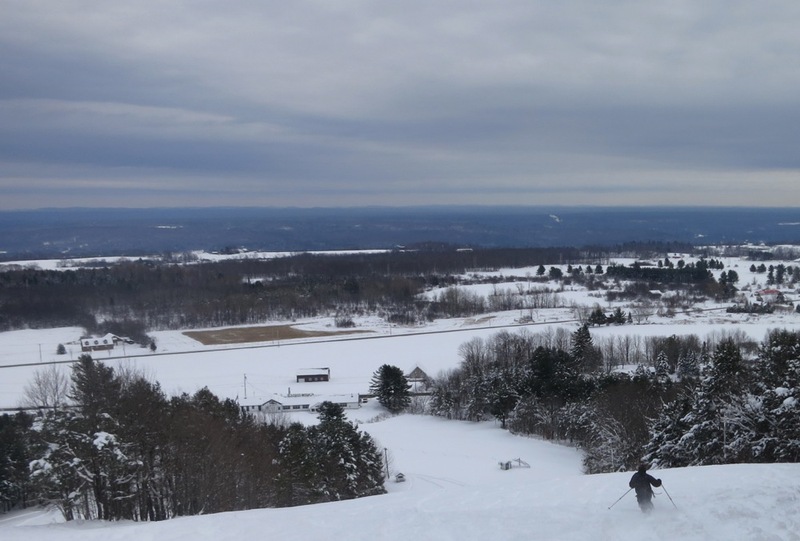 At the same time, two NY State ski areas were “grazed” by the storm. Holiday Valley reported 23 inches and Snow Ridge pulled in 35 inches of snow. 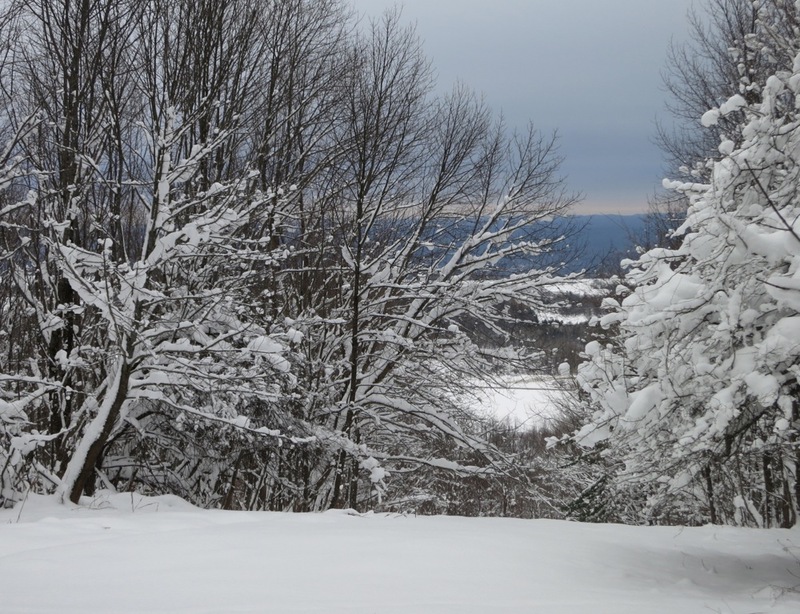 In our forum, skiers were focused on Snow Ridge NY. I was no exception. 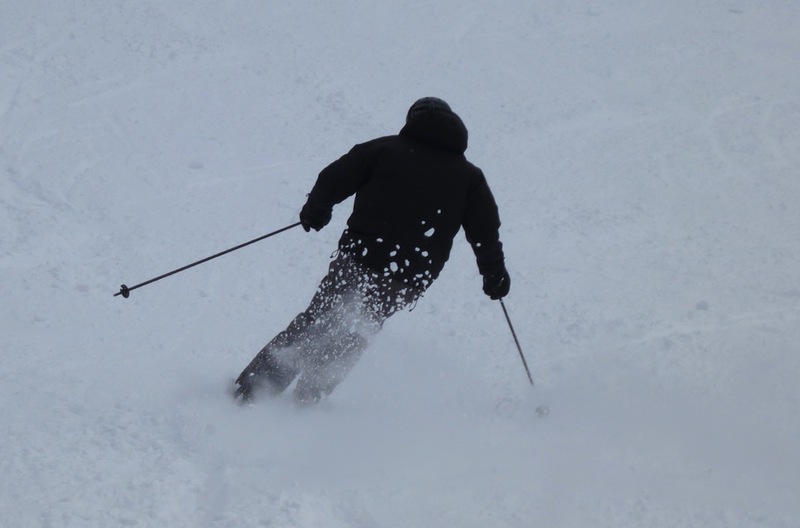 The idea of November powder… I’d never skied it before. I did actually ski October pow once. I was up before dawn on Friday headed to Gore. I made record time and was booting up at 11:30. I skied the afternoon, starting out on cambered skis then moving to rocker. The snow was good with guns blowing nearly top to bottom. The goal was really to get Day 1 in, before heading to Snow Ridge, for the pow opening on Saturday. It’s a long drive from North River to Turin NY and again I got up at five. The Moose River Road is 14 miles of some especially interesting driving when there is loose snow on the road. Google maps abandoned me when I got close, but I could see ski hill in the distance and worked my way across the valley. 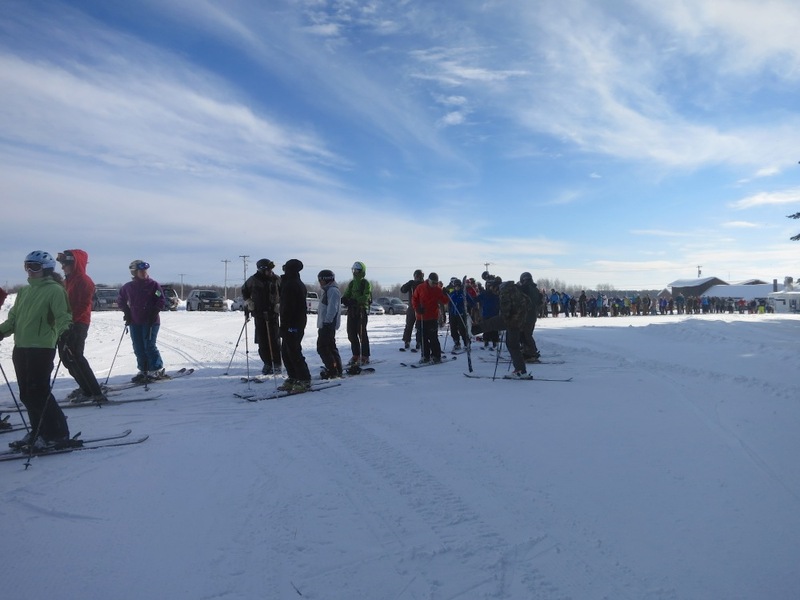 Soon the sun came out and skiers started lining up for first chair. At least 20 of the 35 inches had to be swept off each chair. By 10:30, when the lifts started to load most people on property were in line. I loaded fourth chair, in line as a solo, sitting next to a guy who did the Plattekill work day. So cool. I kicked the snow off my skis and made the connection. The groomers looked insanely good, but I barely touched them… just to skate across the top of the mountain, or to pick up speed to get a few turns in the low-angle stuff up top. After schralping the terrain under the Ridge Runner lift, I worked my way towards the Snow Pocket on skiers right. We found accessible lines to slice several runs in a row. As is my way, I followed guys who looked like they knew. We bootpacked maybe 100 feet of addition vertical in 35 inches of snow. As second through, I had a huge advantage, but it was still hard work. We thought we were headed for the trees. But at 1pm in the afternoon we found an untracked slope that could not be passed up. We whooped and floated our way down. After two more laps on the south side, it was almost 3pm and starting to sleet. It became tougher to handle the cutup, so I cruised my last run on a groomer. It was early, but I’d already had a long day, and wanted to make sure I got on and off the Moose River Road before dark. I spent a little time in the lodge getting rehydrated and relaxing, then I headed out. I don’t get to ski much powder. I’ve probably skied 20 days with conditions as good as those at Snow Ridge this weekend and none of them have been in November. 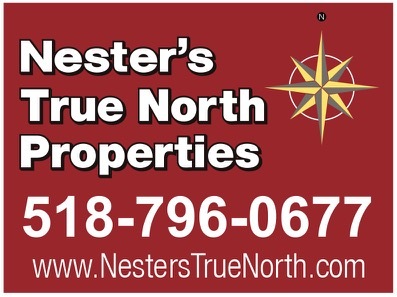 I want to get more comfortable with the drive from North River and head over anytime it makes sense. 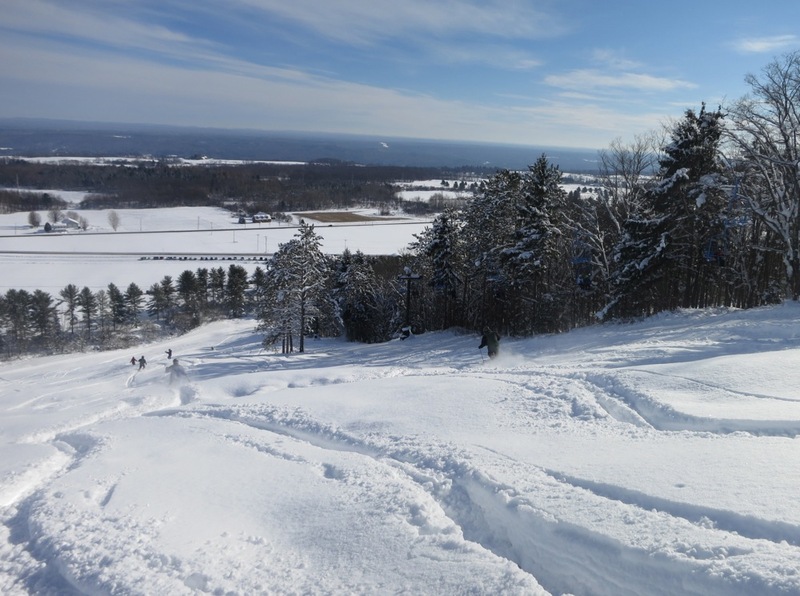 Snow Ridge is a powder snow and tree skiers playground. Way to get after it, Harv. That’s some deep snow. Wish I could’ve been there. Cornhead, Scotty-Skis, and I made it up on Sat. 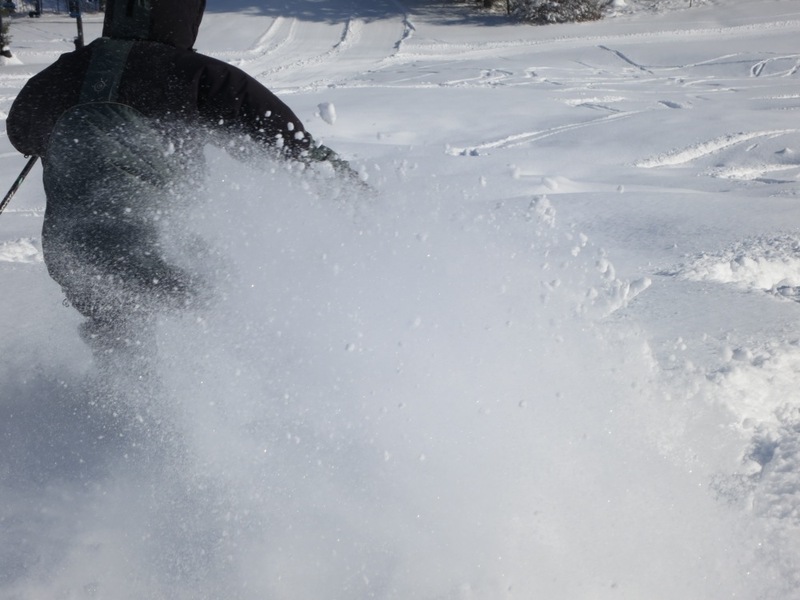 35″ of fresh powder! Was nice seeing Harvy, Danzilla, Powder Queen, and Pam. Heard Acid Christ was also there. I have 1 pic but my home PC is broken. Heck of a ski day for $29. Snow Ridge is pretty damn cool, what a November TR! See ya got a great pic of my Dad rippin pow! (Conifer). cool!